Takeaway: Boost the performance of your modern grow room with the latest products available for modern growers. In this post we are featuring grow room controllers, plant disease control products​, and powdered and liquid nutrients from companies like Autopilot, Hydroworxx, Reiziger, Dakine 420, and Titan Controls. These products are all #GoodtoGrow. Cooling control has long been essential equipment for indoor gardeners. 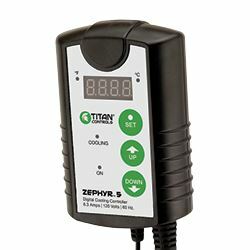 Titan Controls Zephyr 5 is an easy-to-use controller that delivers the functionality necessary to moderate room temperatures affordably. The 6-ft. remote temperature probe has a wide cooling range from 40-108°F. Simply plug your fan into the Zephyr 5, and then plug the Zephyr 5 into an outlet, and establish your set points that trigger when your fan goes on and off. At Dakine 420, they spend as much time getting their hands dirty as they do experimenting in the lab. Over the years, their team of mad scientists say they have found one thing to be true: powdered fertilizers blow liquids out of the water. Their line of quality powdered fertilizer mixes clean, pH-balanced ingredients to produce superior results. Unlike their liquid competitors, Dakine 420 products are more shelf-stable, lightweight, and resistant to extreme temperatures that can denature nutrients. Their powders allow growers more control over the concentration of fertilizer. Their formula has always been that high quality produces healthy plants; healthy plants produce higher yields; higher yields mean more money in your pocket. Neudorff, the German market leader for pest control and plant care products, is proud to introduce a new solution to the urban grower market: HydroWorxx Disease Control. This high-efficacy, EPA-registered fungicide protects buds and flowers by controlling fungal and bacterial diseases including late blight, powdery mildew, downy mildew, rusts and more — all with minimal plant damage. The best part? It’s OMRI Listed for organic gardening and can be used right up until harvest day. Fungal and bacterial diseases are the bane of your organic gardening existence. They spread in a way that makes it seem like even your best effort isn’t enough. If your best efforts at prevention fail, consider a fungicide spray that is listed for use in organic gardening. 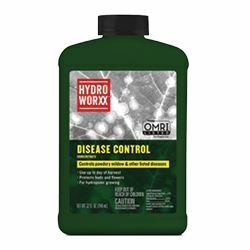 You can employ the power of HydroWorxx Disease Control Ready-to-Use or Concentrate for outdoor and greenhouse crops to keep your plants happy and your harvest worthwhile. There’s a formula for hydroponic success. Reiziger is formulated from the original recipes used at the legendary Seed Bank of Holland. To help them master their craft, Dutch breeders and growers swear by Bloom Food A&B for maximum flower and fruit yields with a full round taste. 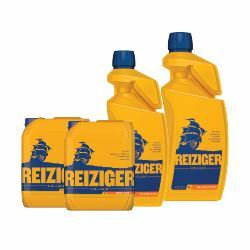 From Reiziger’s heritage of expertise, this element-rich formula gives plants the minerals they need to thrive. 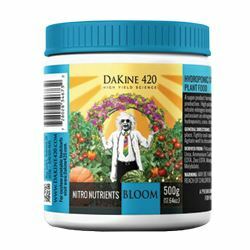 To achieve greater yields, this formulation is tailored for fast growing, flowering annuals in any hydroponic system. The fast-acting formula feeds through roots and leaves to promote aggressive and prolonged flowering, bud set and formation. Search for the ship on the gold bottle. 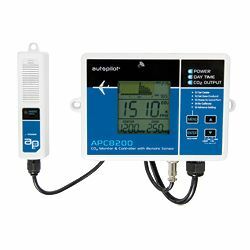 The Autopilot CO2 Monitor and Controller with Memory, available exclusively from Hydrofarm, is an affordable way to monitor, control, and record CO2 levels over an extended period of time. This easy-to-use controller allows growers to track and record a room’s CO2 levels over minutes, hours, or up to seven days. Features a fully customizable parts-per-million deadband and CO2 setpoint, allowing for programming flexibility. The unit’s memory feature truly gives growers an edge in fine-tuning their growrooms. A remote CO2 sensor probe with photocell and 15-foot data cable allows for readings from various growroom locations. Green LED lights indicate the unit’s status at all times. This is a great device for the grower who wants to optimize CO2 levels without hassle. Retailers can order Autopilot through Hydrofarm.